Maria T. Madison, Sc.D, J82, AG88, A19P, A21P was elected Alumni Trustee by the Alumni Association in Spring 2018 for a five-year term beginning on Saturday, November 3, 2018 and ending in November 2023. THE BOARD OF TRUSTEES is the ultimate governing authority of the University. 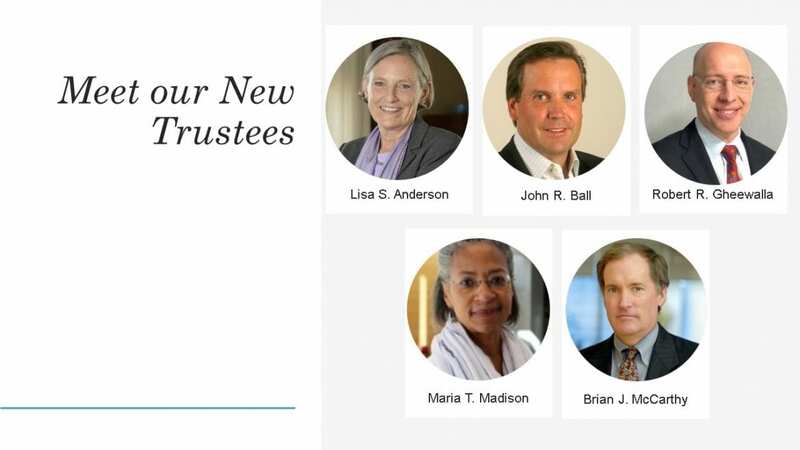 The Board appoints the President, who leads and manages the institution; approves the University’s mission and purpose, institutional policies and changes in academic programs; guards the University’s finances; and sets an example of generous financial support.